This is Part 2 of a video series. Part 1: Bill Bishop Talks to Ken Ouimet About Price Image and Personalization is here. Ken Ouimet, CEO and Founder of Engage3, met with Bill Bishop, Chief Architect at Brick Meets Click, at the National Grocers Association (NGA) Show in San Diego. They discussed recent studies on the gut microbiome that will deliver the ultimate 1:1 consumer personalization, the importance of developing a master data management for product attributes, and how retailers should start planning for a future where consumers use product attributes instead of brands to make purchase decisions. Below is the transcript of their conversation. Ken: So Bill, when you think about personalization, what does a retailer need – what infrastructure do they need to have in place to be able to do that? Bill: Probably the key thing a retailer needs to have in place to do the personalization is a rich set of product attributes. Now back in the day, product attributes were limited to color and flavor and a few items like that, but today many products have literally hundreds of attributes. It could be an ingredient attribute, it could be a claim attribute, it could be a health attribute. So there are entire businesses being built today to assemble rich attribution that allows a consumer to be able to make a judgment about a product and decide whether it really fits their need or not. Ken: Most retailers that we work with, we see that they’re struggling just to maintain the product description.You know you’re talking about hundreds, thousands of attributes. 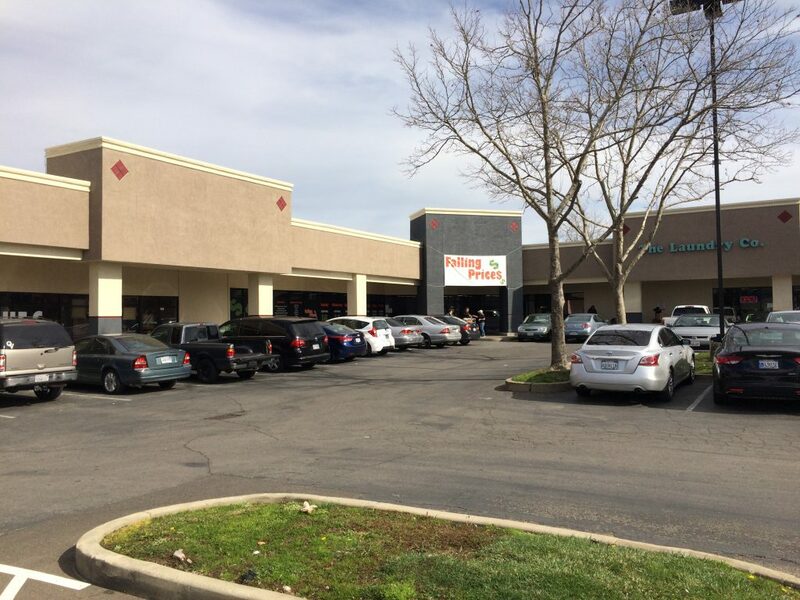 How do you see a retailer managing those? Bill: Well, the management of the attributes is tricky, and you’re absolutely right. Retailers struggle keeping track of data at a fairly basic level in many cases. But what I think the answer is, is that there will be third-parties who actually will assemble that data and transport it to you in a fashion, as a retailer, where you can put it to good use. Ken: Yeah, it’s fascinating. Another interesting research that they’re doing at Davis–do you know Bruce German over there? Bill: I’ve met him, yes. Ken: Yeah, he’s doing some fascinating work on the gut microbiome. And they’ve just figured out how to sequence the polysaccharides in the sugars, and where that’s going is that they’ll be able to recommend diets specific to certain bacteria cultures. I think that could really transform–to be able to give consumers the information on what foods to eat to affect their gut bacteria cultures. Bill: To me, the microbiome is a perfect example of personalization right down to the one-to-one level, because the analysis that can be done today will say exactly what your condition in your gut is and mine, and the recommendations would be highly personalized to your need. A retailer who delivers that kind of recommendation, and we feel the effect–which we’re likely to do with the microbiome–I mean, that’s pretty sticky stuff. Ken: And there’s a lot of innovation going on with the dried foods right now. And then, what’s important is that you’ve got nutrients, like how much nutrients are stored in there. So giving that consumer that kind of information, I imagine, would be really powerful too, to direct them. Do they want frozen or canned, where are their nutrients going to be best? Bill: The amount of nutrition is really something more and more people are interested in. So how a particular product is processed, whether it be frozen, canned, or dried. I mean if the retailer and the producer can explain which has the best vitamin and mineral components to it, that’s going to be very important to a growing number of people. And I think retailers can merchandise that very effectively, and maybe draw people back to center store. Bill: I’m concerned that with all the good things that having product attributes available can do, that companies aren’t moving faster. Why do you think that is? Ken: It’s a hard problem. First of all we have a huge change in marketing from mass marketing to personalized marketing. Then we need to tie the attributes to something–it has to be meaningful. The way we look at it is using them to create a consideration set of what each consumer will consider when they’re buying a product. 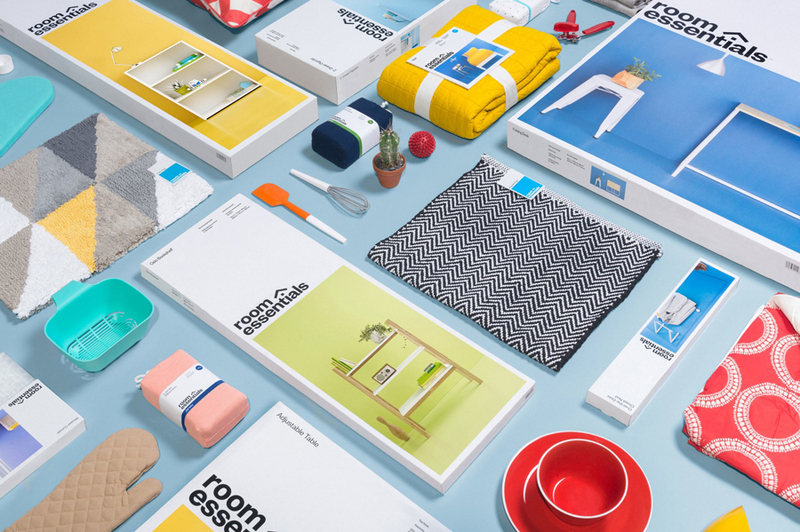 Retailers struggle with just managing their product descriptions, and now you drill that down to a hundred attributes for each product–that’s a lot of work to manage. You look at some vendors like Amazon, they push it out to their vendors to manage, but if you’ve got 10,000 vendors that’s a lot to bring on-board to manage those. The other thing we see is master data management for the attributes. Each category is different, and will have a different set of attributes. And we’ll see that each consumer is different in what attributes they value. Bill: So with the work you’re doing at Engage3 with consideration sets, is that going to help people move forward faster and realizing the full value of these product attributes? Ken: Yeah, absolutely. The consideration sets are really magical. They allow us to make sure we serve up relevant products, but also they can allow us to use trade funds more effectively. Bill: How do you develop a consideration set? Ken: We look at the attributes of the products that the consumer is buying, and that’s a behavioral modeling point. So we use machine learning to cluster those sets of attributes and know what they’re looking for. And then there’s another way we manage it, is through what objectives does the consumer have, and that’s more of a top-down [approach]. Behavior will look at the history of when they set their objectives or maybe they’ve gone to the doctor and they see they’re gluten-free, you don’t want to wait for the history of the product purchases. You can start recommending right away. Bill: Gotcha, so you’re able to help your clients more quickly implement and get to the value of these attributes, even though it’s a great big complicated job. Ken: We’re moving in that direction. Today, we’re helping retailers manage their attributes to compare products with their competitors, so the store brands is a real challenge, especially with retailers like Aldi coming in with 90% store brands. How do you compare? You can’t just scan the UPC and know the product. So that’s a really important problem we’re helping them with. So that’s a smaller set of attributes, but where we see this going is to a broader set of attributes. Bill: Developing this kind of expertise and developing consideration sets I think is going to really set Engage3 apart. I don’t know anyone else that’s doing that kind of work. I’m really pleased to hear you’re doing it. Ken: Yeah we’ve been very innovative on that front. And we’ve got two patents issued, 20 in the pipeline, because we see those as being key to how retail is going to function in the future. Bill: One of the things that I believe having good product attributes helps people do is when they know the attributes of products and they see several items with the same attributes growing. It’s an indication of a fundamental factor that’s attractive to consumers in both those products and probably indicative of a broader appeal. Do you see a role that Engage3 can eventually play in helping people sort see where the puck is headed in terms of some of the changing preferences? Ken: Yeah, we’ve been starting to look at the categories on an attribute-basis, and that’s really fascinating. And so you start to think about understanding trends by attributes across a store. Things like gluten-free or organic or non-GMO, you start to see where there’s trends, and where you’re not allocating enough. When you start comparing to your competitors on those products, you might see that you’re short in some area or too heavy in some other areas. Bill: So there’s really a number of different reasons why understanding the trends with respect to attribute beyond product sale is competitively valuable for retailers? Ken: Yeah, absolutely. So they’re starting to look at their assortments on an attribute-basis, I think that’s a really interesting area. The other thing where we see that going is to understand the price–break down the price by attribute so we know, that way we can compare products better. To competitors or even products within the category, what should that gap be in price? Bill: It’s interesting that you would say something like you just have in terms of gaps and attributes. We try to eat low-sodium products at our household, and the gaps between comparable items and the amount of sodium per consumption is huge. And we’d happily pay a premium, and we certainly like to have our attention drawn to the low-sodium items because that’s what we want. Right now we have to work hard to figure that out on our own. Is there going to be a way in which eventually you think people present their or curate their assortment so that things like low-sodium pop up more quickly and easily for folks like us? 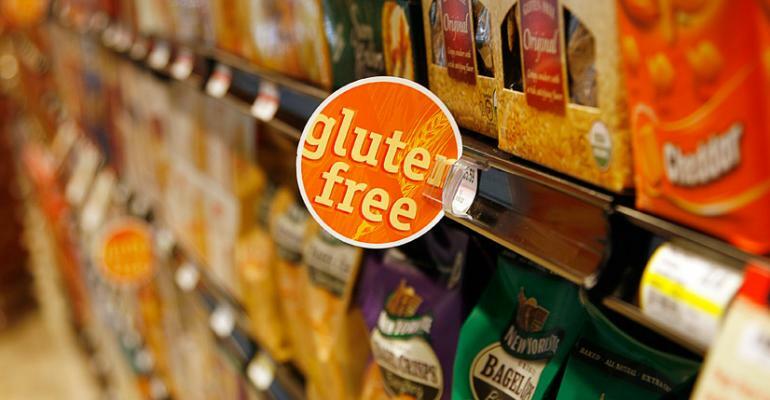 Ken: Yeah, I’m starting to see retailers put signage up identifying the gluten-free products or the low-sodium products, but as you said earlier there can a hundred or thousand attributes for a product. I think it’s perfect of an area for a digital environment or to have a digital assistant that’s just guiding you by what you want, but reading through those labels is a lot of work and it’s too much work for most consumers. Bill: Private label. Do you think these trends support more focus on private label? Will private label be more attractive as a result the emphasis on attributes and things like that? Ken: It absolutely is. There’s an article recently in the Harvard Business Review where they were talking about consumers buy bundles of attributes as opposed to a brand. If you look at online, we’re seeing consumers search more by attributes. And probably the more that attributes–that data’s available and clean, we’ll see more of a focus on attributes than brands. Bill: Love the idea that consumers are buying bundles of attributes. Now if I was in the brand business I think I’d get a little self-conscious. Ken: I suspect where that’s going is it’s going to be competing on attributes much more than price. So I think we’re going to see attributes come up to the level of price in being a lever to move the sale. And the key is going to be knowing what attributes resonate with what consumer. Bill: To reinforce your point, I will pay a pretty good price for dark chocolate to take advantage of the flavonoid effect and improve blood circulation. I’m not asking for, you know, a discount on that, I want the benefit. Ken: I think we’re going to see more and more of that behavior, and that’s the exciting part about personalization. And it allows a manufacturer to capture more value when the consumer values hit, and they have the flexibility to price low to get people to try the product. Ken: Well Bill, it’s been great talking to you and I always enjoy, over the last 25 years, getting together with you and your passion for pricing and your curiosity, and you’re always learning. Bill: Well right back at you, you’ve had some amazing accomplishments and you’re clearly on the edge some additional major steps forward. You’ve got to be proud of that and your current company. Ken: Well thanks, Bill, I look forward to seeing you again soon. Bill: It’ll be my pleasure to get together with you whenever we can. This is Part 2 of a video series. Part 1: Bill Bishop Talks to Ken Ouimet About Price Image and Personalization is here. For more videos like this, subscribe to the Engage3 newsletter, Pricing Trends. Subscribe here. A private label, also called a store brand, is an assortment of products offered by a retailer that matches national brand items. 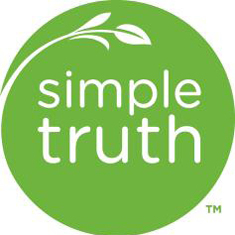 Some private label examples include Target’s Up&Up, Costco’s Kirkland Signature, Whole Foods’ 365 Everyday Value, and Kroger’s Simple Truth. Customers expect a retailer to have a large selection of products for relatively low prices. Meeting customer expectations on assortment and price builds trust and keeps shoppers buying from their chosen grocer. Tim Ouimet, Co-Founder of Engage3, said. One example of this is Aldi’s experience in cookware and home goods. 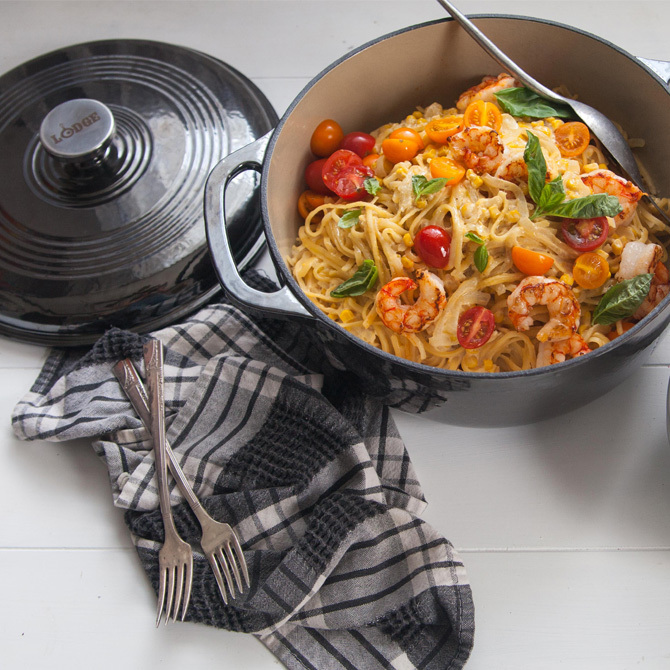 For years, Aldi has sold enameled cast iron cookware for a bargain. A dutch oven, used for many roasts and holiday dishes, can cost upwards of $300 from the leading brand. 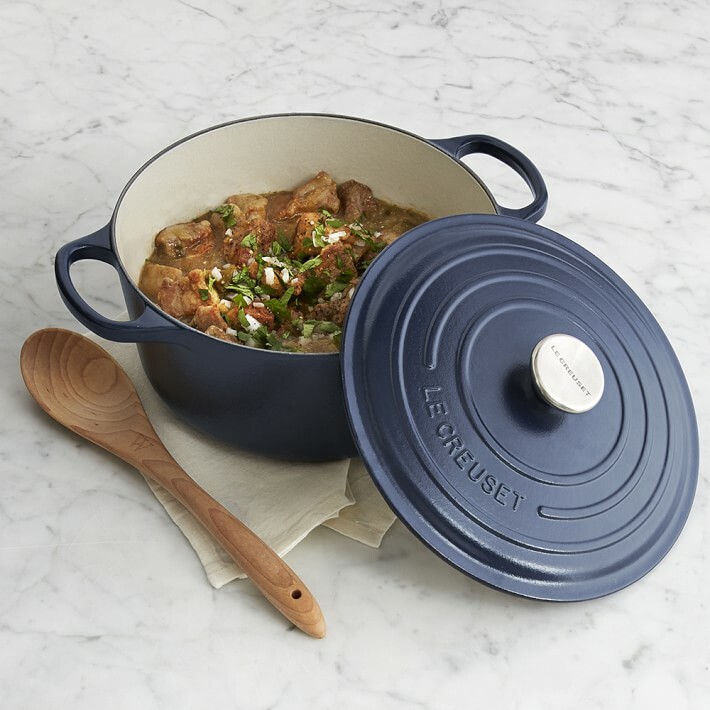 Other branded competitors like Cuisinart and Lodge offer more cost-effective options, but customers frequently doubt the quality of the products. This is because even the leading brand can get chips in the enamel and scratches over time. 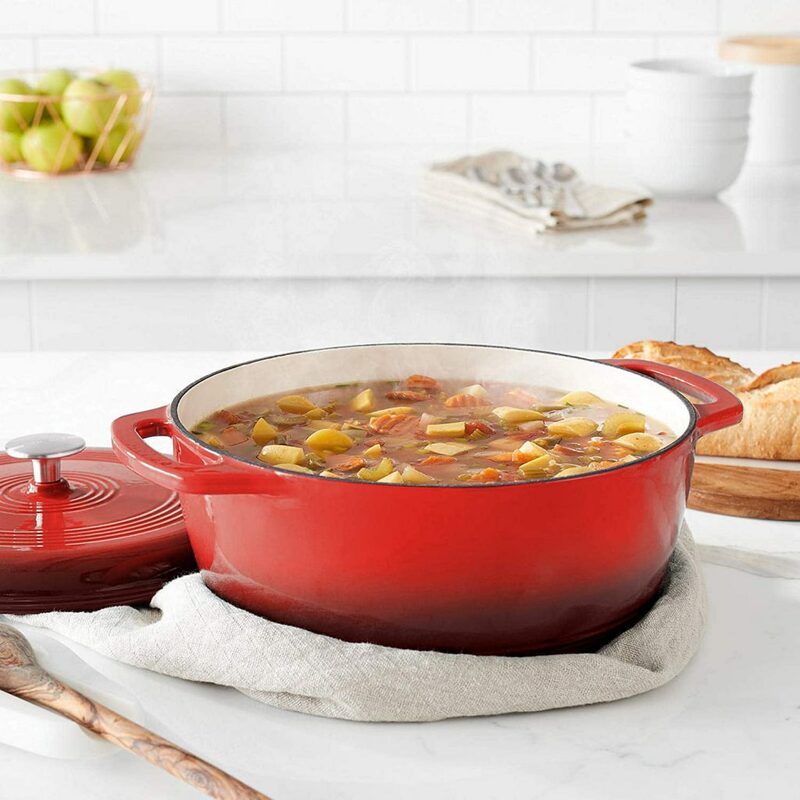 Aldi saw this gap in the market, and began selling a private label dutch oven under the name “Crofton.” For $29.99, customers could have a functional piece of cookware for a tenth of the cost of the leading brand. If the pot chipped or broke in some way, the consumer did not face a significant loss. 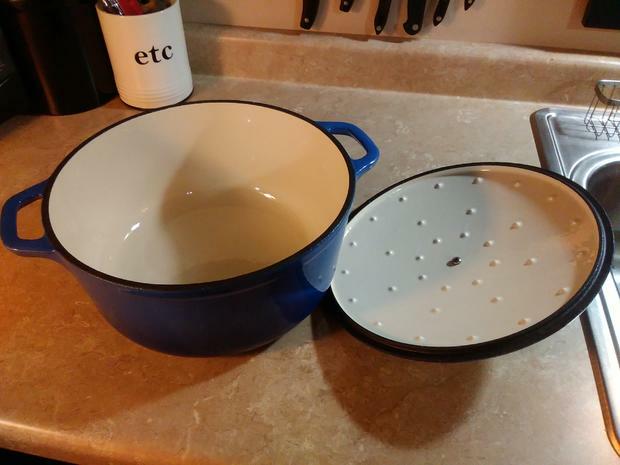 The Crofton dutch oven has surged in popularity, gaining a large number of fans in the past three years due to its compelling value and favorable reviews. In response to Aldi, Amazon followed with an AmazonBasics dutch oven (priced at $44.99), which currently has a 4.5-star rating and over 700 customer reviews. These reviews mirror those of the Aldi Crofton cookware (priced at $29.99). Because of the lower cost of manufacturing private label items (minimal R&D and marketing expenses involved), they can be easily priced competitively against national brands like Heinz, Kraft, or General Mills. Private labels not only allow higher margins, they also improve the customers’ perception of the store by keeping the store’s average prices lower than if they just carried more higher-priced national brands. “For most products, the price difference between two retailers’ private label products isn’t as important as the gap between the private label and the national brand from the perspective of the consumer, ” Ouimet added. Private labels also allow a retailer to price defensively, because it is much more difficult to detect and match pricing on private label products. In this way, retailers can undercut their competition without drawing attention. For example, a private label natural pasta sauce at Retailer A measures 24 oz and costs $2.96 ($0.12 per ounce) while a comparable pasta sauce at Retailer B measures 25 oz and costs $2.30 ($.09 per ounce). Because of Retailer B’s various private label tiers, this item brings a lot of value to consumers while Retailer A is unable to identify and compete with its similar item. By focusing efforts on their store brand assortments, retailers can adapt to an industry that has aggressive retailers like Amazon and Aldi in new and unique ways. A robust private label assortment places retailers at a significant advantage over their competition. To get more information on Engage3’s quarterly reports on pricing for national brands, private labels, and fresh categories, you can click here. View Nielsen’s report on global private label trends here, or read how Walmart stores adjust locally to hard discounters in our “Aldi Effect” report here. Managing the pricing data collected during competitive shops is no easy task. With private labels, rapidly changing online prices, and multiple sources of in-store audits, retail data has become increasingly difficult to translate into market visibility. A competitive pricing platform helps to automate the data collection, apply advanced analytics, and garner insights and value. In today’s world of e-commerce, more and more retailers are taking an omni-channel approach to selling. A technology-enabled competitive pricing platform needs to take advantage of advanced web crawling algorithms to acquire this competitive data and correlate it against the data captured by auditors in physical store checks. This enables a more efficient and cost-effective approach to acquiring competitive pricing data. These web crawls can gather data from dozens of popular online stores to compile the most accurate pricing data. With the right platform, a retailer’s online and in-store pricing data are easy to access and work together to inform their omni-channel strategy. Historically, cost and timeliness have made it difficult to acquire quality competitive data. Given the dynamic nature of the retail environment, static KVI lists are not responsive enough to the realities of where to focus competitive pricing efforts across various geographies and store-specific categories. The retailer needs a pricing platform that allows them to shift from static KVI lists to ones that are easily customized by banner or even by specific store. Rather than taking a blanket approach, the critical decisions of where, what and when to comp shop should be based on strategic statistical analysis. By monitoring how often products change prices at a competitor, a retailer can adjust their price check frequency to areas that require more visibility. For example, if a retailer is doing weekly checks on a KVI and then find that their competitors’ prices only change every few months, they can adapt their competitive shop in response. The resources spent monitoring a slow-moving item like hot sauce at six competitors every week can be allocated to a more price-sensitive area like eggs or dairy products. With the rise of private labels, competitive pricing platforms must be able to compare product attributes. 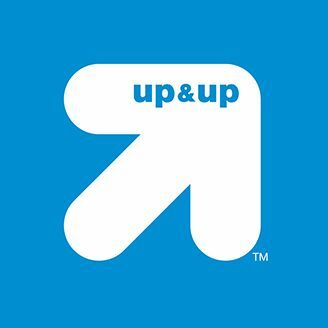 In traditional competitive shop programs, as many as 40% of items go unaccounted for because there is no UPC match. To solve this problem, competitive pricing platforms must be able to utilize visual data capture technology and advanced character recognition to compare product attributes. This allows product linking to occur not just by UPC, but also by key attributes and statement of ingredient similarities, for example, gluten-free and organic. This creates a more accurate picture of a competitor’s private label pricing strategy and their total value proposition. A recent article by Digiday shows that retailers are rapidly expanding their private label selections. Some retailers now offer dozens of different private labels, and manually matching these products takes considerable time and effort. Automation and product attributes allow retailers quickly get relevant pricing data on competing items. 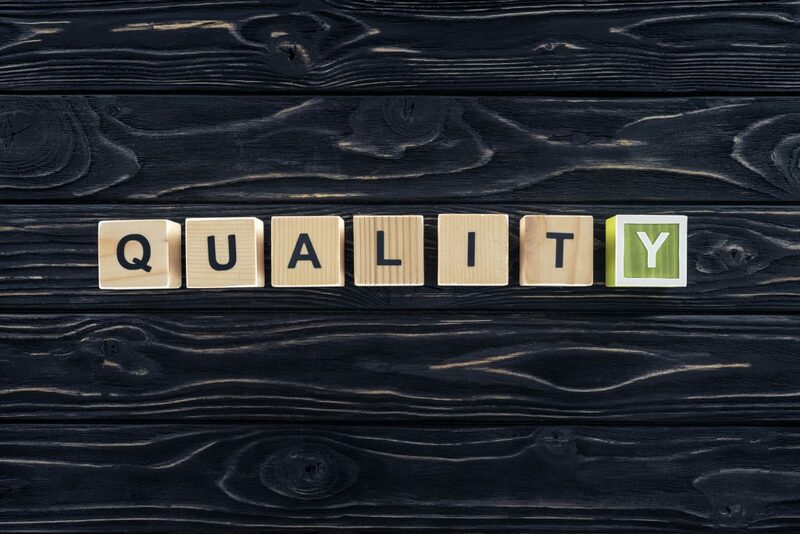 A competitive pricing platform must also have a strong quality assurance workflow. With today’s mobile app-enabled technology, automated processes can greatly reduce manual errors and ensure that only quality data is being captured at shelf edge. Additionally, such apps can compare shelf data against historical records, flagging any SKU pricing that seems historically unreasonable. Reducing the time between data collection and pricing decisions is critical to getting the full value of the competitive shop. When QA takes too long, the data that is collected becomes stale and often inaccurate. Reducing errors makes pricing data more useful, especially when a retailer is competing against e-commerce sites that can make price changes instantly. 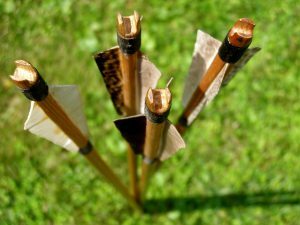 A competitive pricing platform must have the ability to collect precise and accurate pricing data. This allows retailers to target competitive shops, optimize frequency, and specify which items to focus on within regions or individual stores. Rather than casting a wide net to see what useful data gets brought in, retailers must be able to get a global look at the actions of their competitors while also drilling down to store-specific opportunities. When they have both views, they can see clearly where they are winning and losing. A competitive pricing platform makes it simple to manage data collected through web crawls and in-store audits. By having prices and advanced analytics connected in a central system, retailers have the ability to review their competitors’ strategies and adjust their own. To learn more about the science driving our analytics, you can request our White Paper here. Engage3 publishes regular market pricing reports to help retailers and brands enhance their pricing performance through data science and analytics. Register to get more detailed information about this report, or to automatically receive updates on pricing reports in the future here. 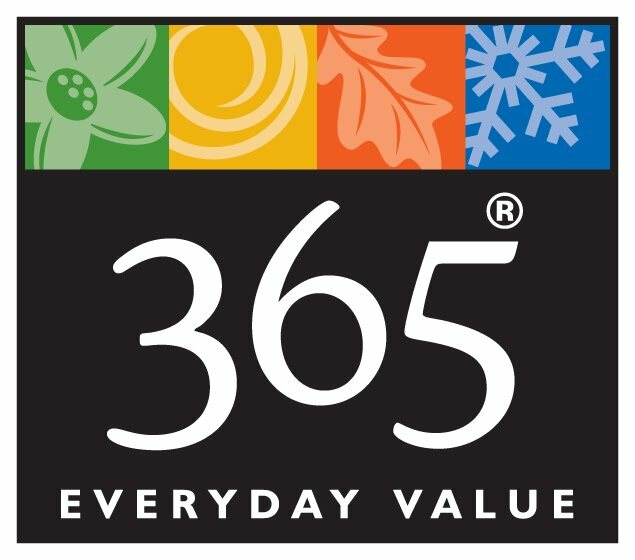 Engage3 collected pricing data during the last quarter of 2018 (October 1, 2018 to December 31, 2018) from 46 grocers at 198 store locations. This report shows how a select group of 11 grocers fared in their private label, national brands, and fresh offerings. In this analysis, the lowest price across regular, promotional or loyalty pricing for each price point was used, and outliers were excluded. The grocers’ average pricing in each category were divided over the market average (and subtracted one). Numbers greater than zero indicate a banner with above-average pricing, while negative numbers indicate a grocer with pricing below the market average. Note: Walmart data was not a part of this data sample. Engage3’s analysis showed that Lidl, Aldi and H-E-B led in private label, coming in at -32, -26%, and -13% respectively, below the market average in this category for the last quarter ended in 2018. 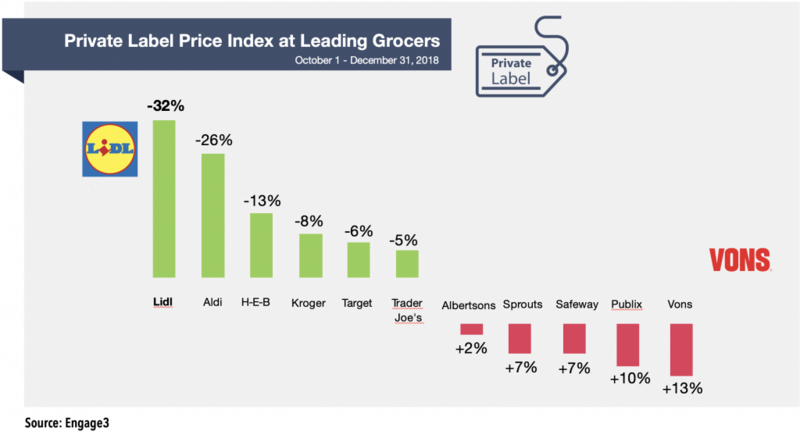 Kroger led in the national brand category, followed by H-E-B and Target, where the mostly-private-label grocers Lidl, Aldi, and Trader Joe’s were excluded in the analysis. Mostly-private-label grocers Lidl, Aldi, and Trader Joe’s took the top 3 spots in the Fresh category. 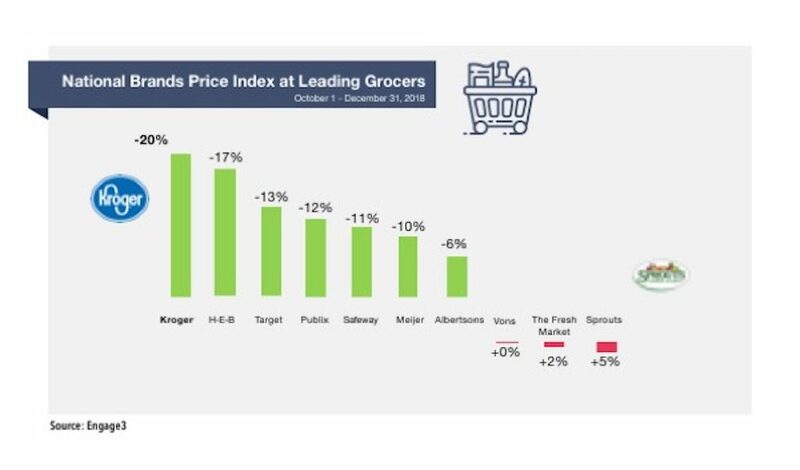 Aldi and Lidl displayed consistent strategy across their assortment, coming in below the market average and occupying one of the top 3 slots in the private and fresh categories. H-E-B stayed in the top 4 in all 3 lists of private, national, and fresh categories. Lidl led in lower prices at -32% for its private labels, beating Aldi, H-E-B and Kroger, who came in at -26%, -13% and -8% lower prices, respectively. At the other end of the spectrum, Vons trailed everyone else with the highest price index of +13% for private labels, followed by Publix at +10%. Because Trader Joe’s, Lidl, and Aldi carry a very small number of national brands in their stores, they were excluded from the national brands analysis. 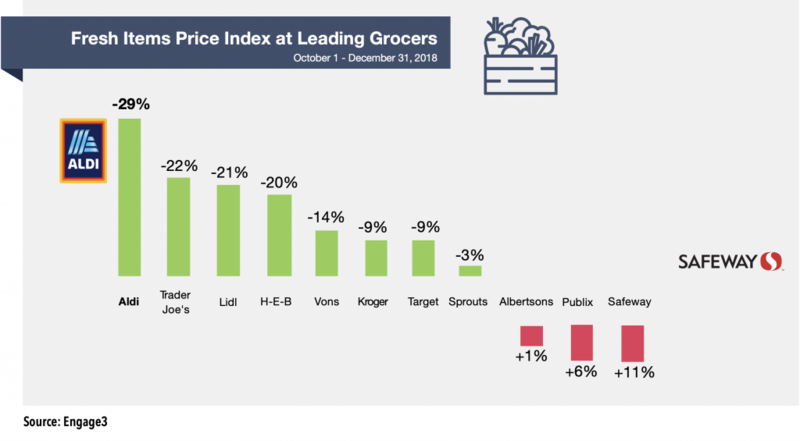 Kroger led with national brand pricing of -20%, followed by H-E-B and Target. Sprouts came in at +5% for national brands, followed by The Fresh Market at +2%. Aldi took home the top spot in lower pricing for Fresh items at -29% for Q4 2018, followed by Trader Joe’s at -22% and Lidl at -21%. Vons ranked fifth at -14%. Safeway and Publix charged the most in the last quarter of 2018, on average for the items in this study, with a +11% and +6% price index, respectively. Register to get more detailed information about this report and full-resolution images, or to automatically receive updates on pricing reports in the future here. 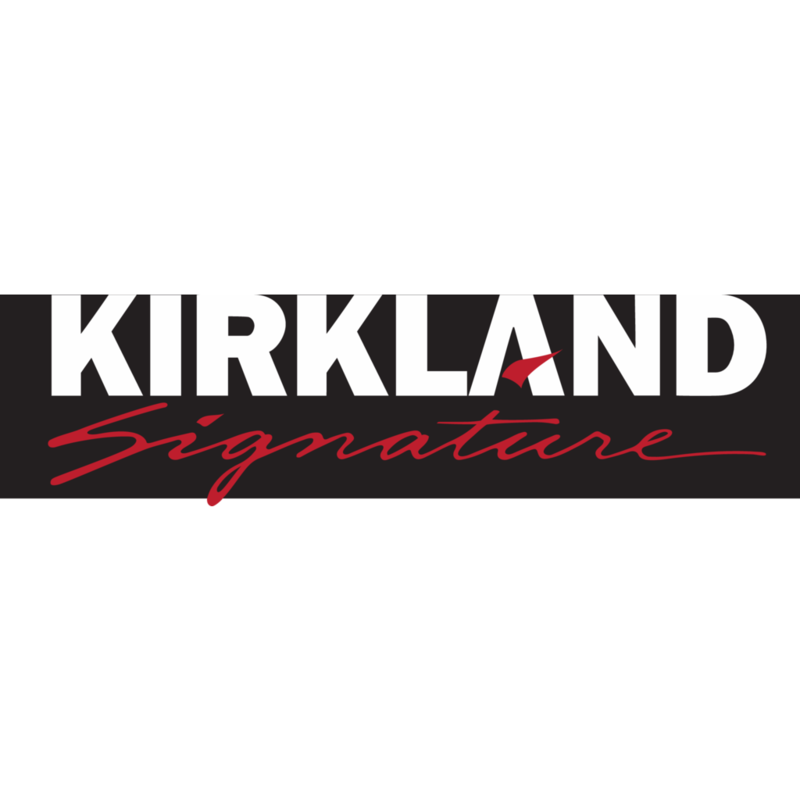 Ken Ouimet, CEO and Founder of Engage3, sat down with Bill Bishop, Chief Architect at Brick Meets Click, at the National Grocers Association (NGA) Show in San Diego to discuss how retailers can compete with hard discounters like Aldi and Lidl. They exchanged views on the critical role of a store’s price image and offer insights about how personalized offers will replace mass market promotions. From custom e-mails to bots and electronic shelf tags, find out how Ken and Bill are envisioning personalization will look like in retail in the next 5-10 years. Ken: A lot of retailers that I talk to, they’re really struggling with competing with Aldi and other hardline retailers. How can a high-low retailer compete on price image with these aggressive discounters? Bill: Well, I think the first thing to recognize is that price image occurs in the mind of each individual shopper. So a retailer’s got to start thinking about how to change the impression of their prices a shopper at a time. The one way we’ve seen that work so far, and I’m sure there are others, is to take a look at what items are in the ad, identify the items in the ad that are purchased by a particular household, and to call attention to that. When you do that, you’re likely to have a set of prices that are quite a bit lower than what the discounter’s doing with their everyday low prices. Ken: That’s smart, that’s a smart approach. Bill: It’s one that’s proven to work and I know that it depends on having really good quality data to be able to know what prices are moving, which prices are important in a market, and to be able to make the assessment and build up to that kind of household by household change in attitude. Ken: How do the retailers communicate those kinds of offers to the consumer? Ken: I’m surprised, I didn’t know that email marketing would become that powerful over the newspaper. Bill: Email marketing is an opt-in strategy that once a consumer trusts and becomes interested in the email, they’re actually running figuratively to the mailbox to open it and see what’s there this week. A lot of fun to watch. Ken: Do you see the next step in that kind of strategy is to start moving away from mass-market offers and have personalized offers? Bill: I think you’re going to see fewer and fewer mass market offers because frankly they’re expensive, they appeal under the best of circumstances to maybe 15% of the population or less–any individual mass market offer. And so there’ll probably be fewer of them and more and more will be done individually and as a consequence under the radar, which has some real advantages too. Ken: Yeah that’d be huge in terms of managing your competitive position. What percentage of consumers with mass market offers, what percentage of consumers do you think change their behavior from the offer, and what percentage did you just give money away to? Bill: That’s really the $64 question. When you offer a special price, are you changing people’s behavior or are you rewarding the customers? My own feeling is that both are very worthwhile because when you reward your best customers with a good price it’s a retention strategy that’s worth quite a bit to you as well. So I don’t worry nearly as much about it when we’re making those rewards because I think it brings the customers closer to you. Ken: But what about when the customer doesn’t even see it, aren’t aware that they got a good price? I think of times when I’m in a hurry and I go to the store and I’m buying stuff, and the cashier tells me I just got 25% off something. I wasn’t even aware unless they told me. Bill: Well, there’s a good opportunity for when the service side of the business comes in. And so if you’re in a hurry, you just pick up the items, and then when you check out the cashier says, “Thank you very much, sir. You saved $2.25 based on the special prices.” At least she’s reinforced the savings going on right there. You may not care even at that point, but the retailer’s taking a shot using the best resource they have to make the point on price reputation. Ken: When I think of personalization, my belief is that in five to ten years, everything you buy is going to have a personalized offer. And I was just curious what you thought, where do you think personalization is going? Bill: Personalization, I think, is going to be the big trend that affects grocery retailing over the next five or ten years. Our stores can’t support the mass market proposition, we’ve got out-of-stocks, and we’ve got not enough variety to satisfy customers. So personalized offers, targeted, but we know what people want to buy and we have that product both available and priced appropriately is the way the world is going to go. Now that’ll change the experience of a store, because you probably don’t have to go to the store to take advantage of that, but you’ll need other reasons to go to the store, and there will be other reasons–experience-based. Ken: What challenges do you see for retailers over the next five years as they move into personalization? What are their biggest challenges? Bill: Well, the biggest challenge is being able to find a good vehicle for personalization, for delivering that message. I mentioned e-commerce a little while ago, or email as a way to communicate, but one of the things–and I believe we’ve talked about this in the past–there’s probably some degree of discussion between the seller and the buyer as to what’s important and how important it is. I think bots will eventually be a basis for that kind of discussion leading to personalization, [and] they’re not there yet. So the introduction of bots to facilitate will be one thing. I also see that personalization will potentially be delivered right in the aisle on these new digital shelf strips. I mean, they’re going to be amazing, and if we can figure out who you are standing in front of the aisle, we can deliver a personalized price right to you in front of the cookie section or the soft drink section. So, we’re just on the edge and the nice thing about this show is it’s really exposed us to some incredible technology for delivering personalization. Ken: Do you envision that different consumers will have different prices or it’ll be different discounts with the same shelf price? Bill: Well, I think what we’re going to see is, today there’s a need to differentiate between the shelf price and the promoted price. And the reason is, the shelf price is on the shelf and the promoted price is when it’s on sale. When we get into a highly personalized world, the shelf isn’t going to be as relevant. So I think it’s going to be a combination of discounts or lower prices. 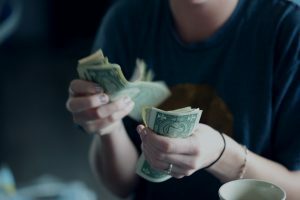 I mean at the end of the day, the retailer wants to price–[to] change your behavior or hold your behavior without spending any more markdown dollars than they need to. And so whether that’s a discount or whether it’s a lower price, I’m not sure. Part 2 of this video will be posted in the next issue of the Engage3 newsletter, Pricing Trends. Subscribe here. 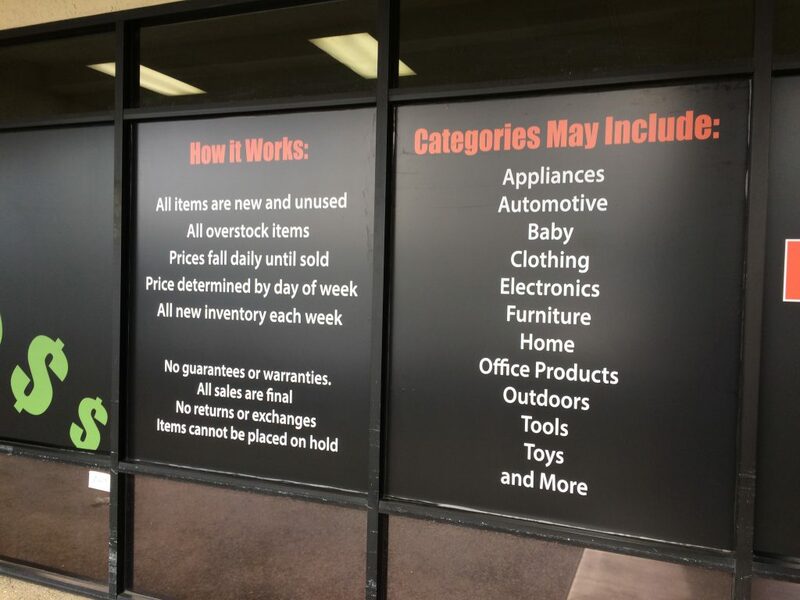 Competitive shop programs, also known as competitive price checks, are a retailer’s main method of gaining visibility into their competitors’ pricing. An increase in hard-to-match private labels and the entry of digital e-commerce pricing have introduced higher rates of errors and reduced their effectiveness. With the right best practices, competitive shop programs can change from being a source of frustration to a source of strategic advantage. Tip 1: Match your KVI list to your competitors’ products. 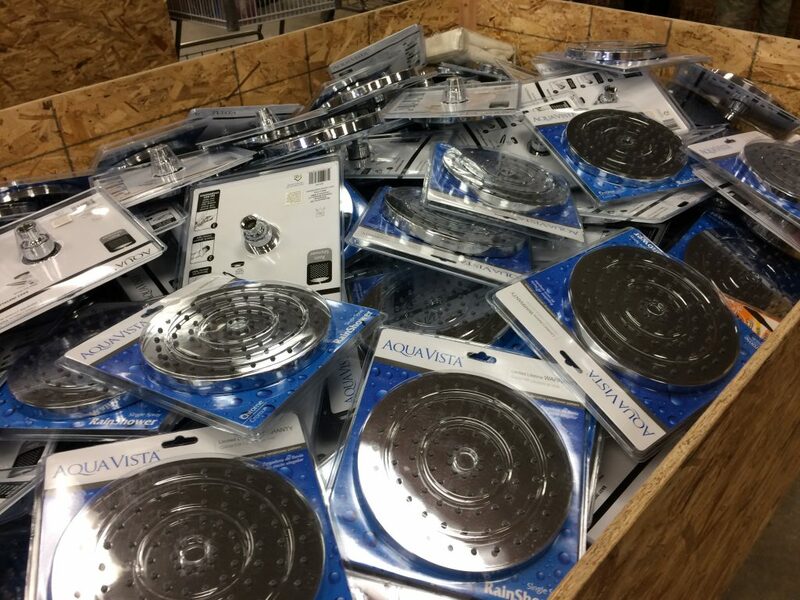 More often than not, the data that comes back from a competitive price shop has significant errors. You can’t make good decisions based on bad data, and scenarios like this only puts merchandising and pricing departments at odds with each other. In order to get the right pricing data, you need the right product list. By matching your KVI list to your competitors’ products first, you save time and effort for both online and in-store data collection. 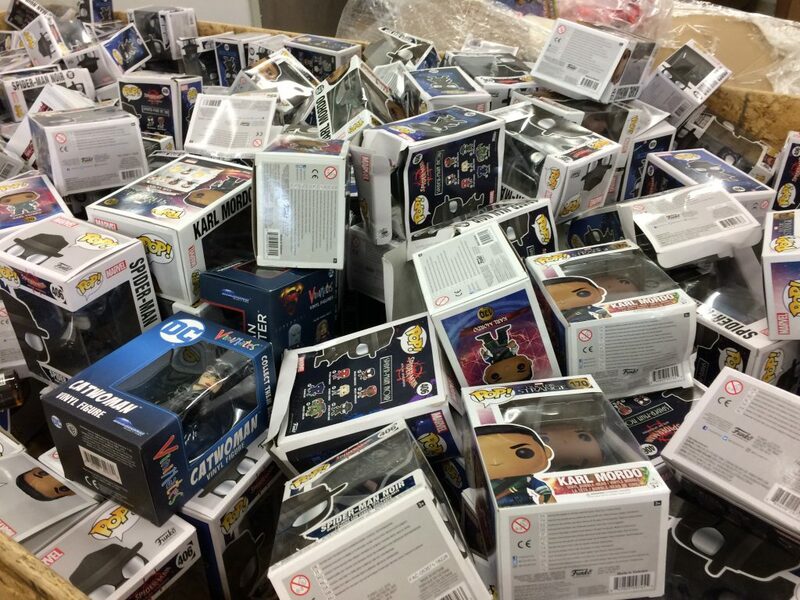 When collection auditors are free to collect prices, they can spend less time looking for products that are unavailable at the competing store. This has two benefits: decreasing the labor costs of the shop and increasing the quality of data. Tip 2: Do full-books sparingly. Full books are expensive. The top 10% of products sold typically represent 50% of the total sales dollars. Therefore, full book programs that invest as much in competitive shopping slow-moving items as in fast-moving products are not cost-effective. The problem with full-book shops is that they assign the same value to slow-moving goods and fast-moving goods. As a result, goods that only need to be price-checked yearly are lumped in with goods that change prices weekly–at a premium cost. Our studies have shown that price change cadence for a lot of items at most retailers are not as frequent as most would think. This knowledge can free up upwards of 50% of budgets to achieve more strategic competitive visibility like assortment changes. You can request a sample price change analysis for a typical retailer here. On average, we recommend that full-book competitive shops be done between two to four times a year. This can be supplemented by precisely targeted competitive shops. Tip 3: Match your private labels. When price-checking a retailer of similar size, it’s advantageous to match your private label products to theirs prior to the competitive shop. By matching private label products and finding equivalents, the collected data becomes much more accurate. 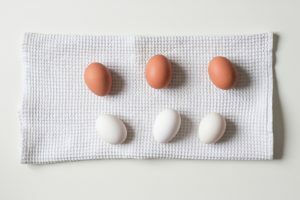 For example, if two stores offer private label free-range eggs but one carries a dozen-egg carton and the other an 18-egg carton, it takes more time for an auditor to make this connection and collect the data. By linking the products beforehand, the auditing process is streamlined, and more accurate data comes back to you. Without product matching, visibility into your competitors is compromised. Private label products offer a greater picture of a retailer’s pricing strategies, and serve as important markers for category trends. To unlock the last 4 tips, register here. Combined with other pricing solutions, these tips can stack to make the most out of your competitive shop programs. To learn more about how Engage3 uses artificial intelligence and machine learning for retail solutions, you can register to receive our White Paper here. Frank Scorpiniti, CEO of Earth Fare, also sat down with Engage3 founder Ken Ouimet to discuss the latest industry trends and technology at GroceryShop 2018 — watch the video here. Engage3 today announced that it has secured additional financing to continue its growth from Wells Fargo Strategic Capital (NYSE: WFC), a division of Wells Fargo Commercial Capital. The company anticipates doubling revenues in 2019, and Engage3 plans to use the funding to expand its staff and scale up the company’s go-to-market initiatives. The company helps retailers balance their price image objectives with their profitability goals through data science, artificial intelligence, and accurate competitive data. Engage3 was named in the top 1,500 firms for two consecutive years (2017 and 2018) in the Inc. “5000 Fastest Growing Private Companies”in the U.S. It raised its Series B financing two years ago from retail technology-focused venture capitalists and is in the middle of raising its Series C financing. 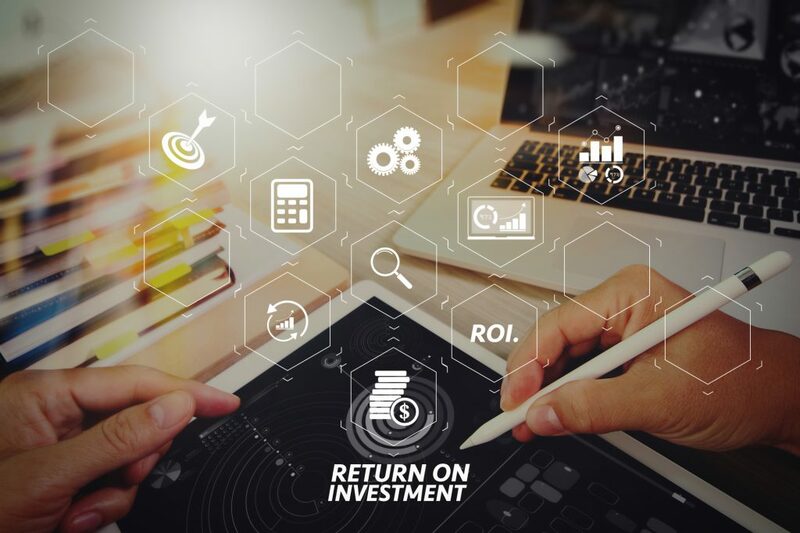 Engage3 focuses on an integrated retail pricing platform that emphasizes data quality and the management of competitive pricing, which are the foundation of successful price optimization implementations. Engage3’s Competitive Intelligence Platform (CIP) is an integrated end-to-end solution that uses data science to ensure data comprehensiveness, freshness, and accuracy. CIP enables retailers to automate the management and optimize the design of their competitive shop program; uses demand-side product attributes to link “like” competitor products; and reverse-engineers and monitors competitors’ pricing strategies. Engage3’s Competitive Price Response(CPR) is a visual price modeling tool that optimizes pricing, using proprietary psychological models that measure consumers’ perception of retailers’ pricing and predicts the impact of price changes on that image. CPR helps define the consequences of strategic pricing alternatives. “Engage3’s integrated pricing platform presents great value for retailers in today’s highly competitive environment. We are excited to be an equity investor in this rapidly growing business with a strong platform and founder-led leadership team,” says Puon Penn, the Head of Early Stage Investment Division at Wells Fargo Strategic Capital, who is based in Palo Alto, California. Engage3’s focus is on data quality and management which are the foundation of successful price optimization implementations. Engage3’s Competitive Intelligence Platform (CIP) is an integrated end-to-end solution that uses data science to ensure data quality. Engage3’s Competitive Price Response (CPR) optimizes pricing, and manages a consistent price image across different channels, markets, and categories while providing control over your company’s quarterly sales and profits. For more information, visit www.engage3.com. Frank Scorpiniti, CEO of health and wellness store, Earth Fare, talks to Ken Ouimet about how they came up with a unique food philosophy of “Live Longer With Earth Fare,” and how they have been able to grow their price image while increasing enterprise profitability using data science. 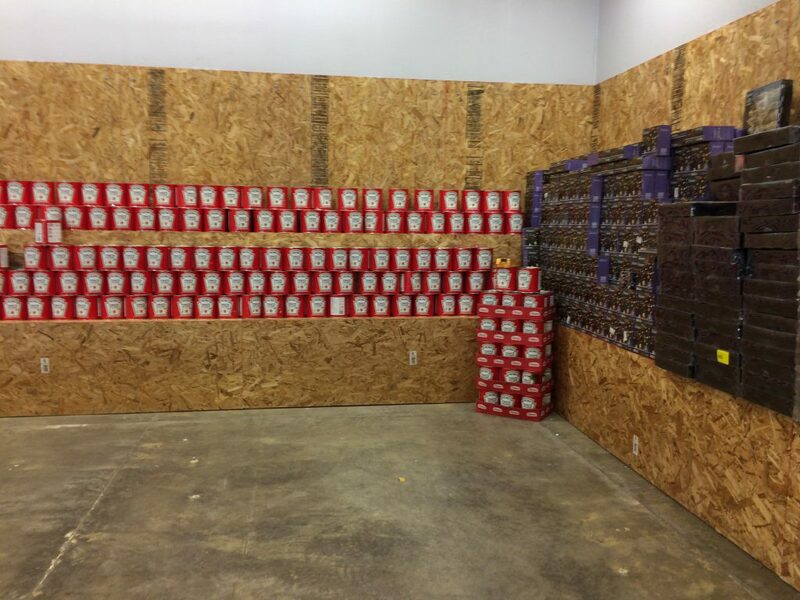 Ken: A couple weeks ago you had me over for your store opening in Fort Mill, South Carolina. A really impressive store, I loved how it was that you just see it right off the road. How are customers perceiving prices in the stores? Frank: Customers loved it, they love the store experience and we get a lot of feedback about the compelling value that we’re offering the consumer for the cleanest products available. So, they’re pretty impressed with our pricing these days. Frank: We have been engaged with Engage3 to help us get better at our pricing for our customers in order to offer them compelling value while at the same time maintaining our margins, and that’s been really important for us, it’s helped advance our business in our customers eyes. In addition to that, we’ve been using artificial intelligence to help us with our weekly promotionals, to bring the best products to our customers at the right time, the right frequency, and the right price. Ken: You have a marketing campaign, “Live Longer with Earth Fare—Blindfolded.” Very bold statement, can you tell us what that means? 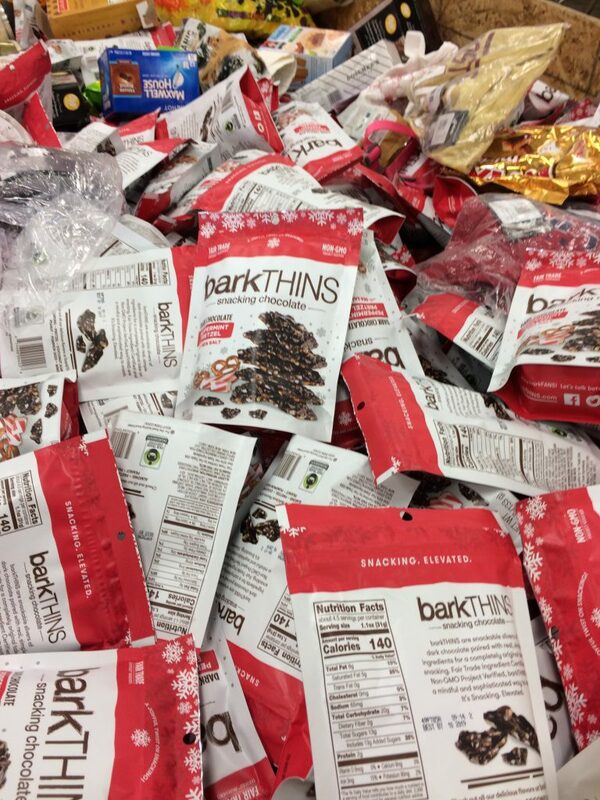 Frank: We were very focused on trying to call out the value proposition of Earth Fare. Why should I shop at a place that has a food philosophy? And early on in the marketing and what we wanted to share our voice with our consumer we were trying to articulate each and every product, why it was beneficial, why it didn’t contain certain items, and that became very noisy. So, after working on it quite a long time, the brand mission of our businesses, it’s really to live a healthier, happier, and longer life. And so “Live Longer with Earth Fare” was born. And we say that you can if you want to be silly and take a risk, you could shop our aisles blindfolded knowing that nothing you ever take home to your family contains artificial chemicals, colors, emulsifiers, any chemical on the boot list. That’s hundreds of chemicals that we don’t allow in our store. Ken: Do you see any other retailers coming up to those standards? Frank: Interestingly enough, we are extremely excited because we’re the only ones in North America with this kind of food philosophy. It is very unique and I think it’s what gives us the ability to continue to grow in this voraciously competitive environment. We’re offering the consumer that they’re not able to get anywhere else. Ken: That’s quite a service to the customer. How do you help them understand what you’re providing them? There’s companies like Kroger, Sprouts, a lot of other stores, Costco, are coming with organic products into this market. Frank: What’s interesting, a lot of the other grocery retailers do have some of these products that are clean and healthier products, but in those instances you’re having to shop for those products across a minefield of products that are full of chemicals that are bad for you. And so, if the consumer has time to read every label in a store and carefully select without making a mistake. 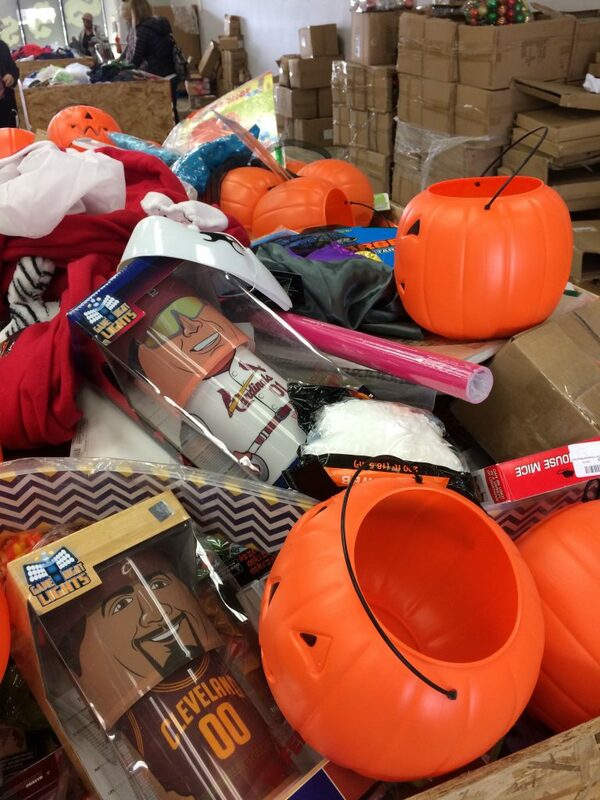 Ken: And they have a three-year-old in the cart grabbing stuff. Frank: Right, that’s a lot of time required. And so that’s the benefit is just get in don’t worry about reading labels. Everything in the store is clean and you’re going to find compelling value on every aisle. Ken: When you think about your price image do you have, sort of, another similar objective with the price image? Frank: Well, we’re continually trying to maintain and grow our price image to show our consumers compelling value, but some of what’s been exciting here at the show today is it seems that some of the technology now exists to bring together the opportunity, to create one-to-one marketing that is truly customer-centric. In other words, I think our teams could probably work together, Ken, to create offers that are customer-centric where they share into our loyalty database their health and wellness needs and we create unique offers for them. Rather than what oftentimes happens today where four or five or ten different offers are created and then we try to match customers to the offers. You mentioned earlier that 70% of people have some kind of food sensitivity, and probably most of them don’t know that. But the ones that do know what they need to avoid oftentimes know what to avoid but maybe not what to go after to even enhance their health even further. And I think collectively we could probably come to those recommendations and then for that individual give that customer a fantastic one-to-one price offer that we could create. Engage3’s Competitive Price Response helps retailers like Earth Fare model and define the impact of strategic pricing alternatives. It is integrated with Engage3’s Competitive Intelligence Platform and could be used with Nielsen market pricing data, if available. Price Image algorithms are based on Markowitz’s Nobel Prize Winning Efficient Frontier Theory. Watch how this theory is applied to retail pricing in this video.